I now offer Mental Health group talks which incorporate specific areas covered by The Thrive Programme®. These have become very popular and successful in promoting the importance of good mental health to a wider audience. 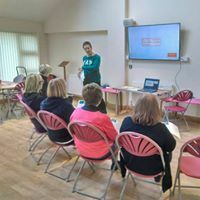 These talks cover elements of The Thrive Programme® that can affect anyone such as anxiety, stress and low self-esteem. The talks are usually about an hour but can be adapted depending on the need of the organisation or the group booking. Participants will gain valuable insights and knowledge into the way they currently think and behave; they are then given strategies and techniques to improve their thinking and coping skills. 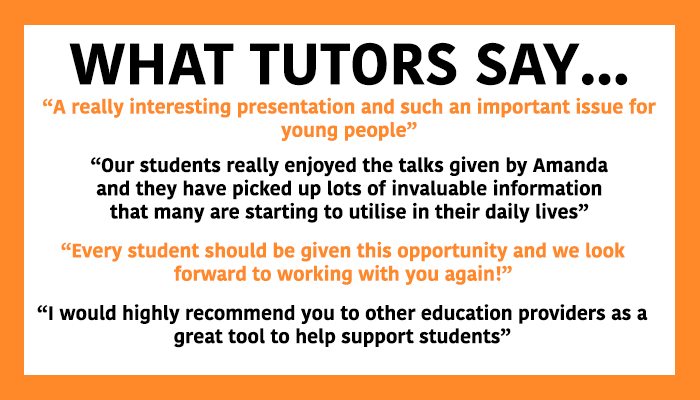 These talks have become very popular and the feedback received indicates that the sessions are informative, enjoyable and useful. Please get in touch if you would like to know more. 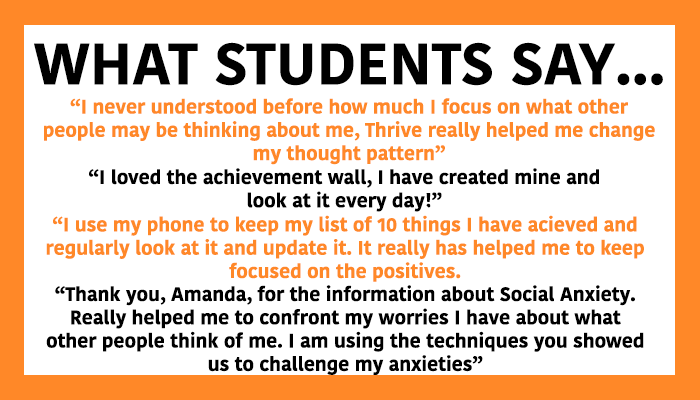 During my sessions students are shown how to recognise their level of self-esteem and social anxiety as well as how much control they feel they have over their own thoughts, feelings and behaviours. Students are then taught skills, techniques and challenges to begin to overcome these limiting beliefs. I provide handouts to each student which are filled in and worked on during the talk and they also summarise areas discussed for future reference. My sessions are clear, comprehensive as well as interactive and students will be left with valuable insights and ways to improve how they manage their thinking in all aspects of their lives. 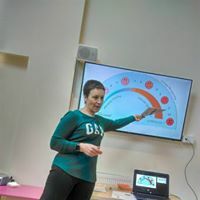 My workshops are usually delivered over two one hour sessions to groups of students, covering specific areas of The Thrive Programme®. I am, however, able to adapt these sessions if there are specific areas or needs that colleges and universities would particularly like included for their students. Please contact me on amanda@thrivewithamanda.co.uk or 07888 704093 with any questions you have and to discuss your requirements further. BOOK A GROUP TALK TODAY!